Rather than attracting prospective customers, Samsung Mobile dedicated its efforts at the five-day Austin City Limits music festival to rewarding current owners of its Galaxy smartphone. Doing so reinforced brand loyalty and generated upsells among existing customers, of course, but it also led consumers who didn’t own a Galaxy to think more about the benefits of doing so. Galaxy owners who visited the Galaxy Experience tent at the October festival could participate in several custom device interactions in order to enter a contest to win an upgrade to the VIP Samsung Galaxy Lounge and access to an exclusive side-stage viewing area. These interactions in and of themselves were rewards for Galaxy owners that also showed off the full capabilities of the phone. For instance, at one of the stations within the Galaxy Experience they could receive a custom henna tattoo designed using the Galaxy Note 10.1; at another they could create custom backpacks and flags using the Note 3. Using the Galaxy’s Air Gesture capability, visitors could choose a hairstyle at the Braid Station or order a free ice pop. Visitors could also receive custom-etched flip covers for their devices. 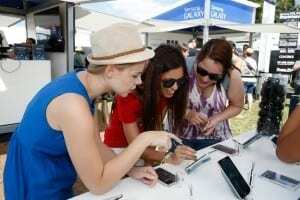 At stations throughout the festival, Galaxy owners could swap their waning batteries for fully charged ones. And to encourage consumers to spread the word, Samsung rewarded those who posted about the experience on social media with a food voucher to a festival vendor. More than 24,000 consumers visited the Samsung Galaxy Experience, leading to more than 38,300 hands-on interactions with the products. More than 1,300 visitors won upgrades to the VIP lounge, nearly 4,600 batteries were exchanged, and more than 10,000 food vouchers were given away. 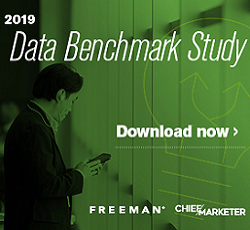 And in what was surely music to Samsung’s ears, the campaign generated 76 articles and more than 26.8 million media impressions.